A heaven on earth, a dream come true, a paradise for mortals—this is how we prefer to define Longboat Key. This island paradise is located off the western coast of Florida, just north of Lido Key and neighboring Sarasota and Bradenton. The island is divided into two parts, one of which belongs to the Sarasota county, and the other to the Manatee county. For professionals and downtown-living enthusiasts who love shopping, urban facilities and the excitement that cities offer, the proximity of such amenities makes it an ideal place to settle. If you like Longboat Key take a look at Casey Key, Bird Key and Siesta Key as well. Longboat Key is truly a tropical paradise. The closely managed community does not permit billboards, neon signs, or even shopping malls within its borders. That doesn’t mean there are no businesses on Longboat Key, however, because this quaint, historic island has plenty of upscale shops and Zagat rated restaurants for even the most discriminating shopper or hungry guest. Beachgoers will find the powdery white sand of Longboat Key beaches some of the most beautiful and memorable in the world. Longboat Key is a tropical paradise, perfect for a weekend or lifelong escape, but nevertheless conveniently located nearby to the shopping of St. Armands Circle and the urban bustle of Sarasota as well as Tampa and St. Petersburg. A long, narrow island, Longboat Key covers approximately 16 square miles and is home to about seven thousand people. The town spans both Manatee and Sarasota counties. Longboat Key has become particularly popular for retirees who enjoy more than 12 miles of uncongested, pristine beaches as well as world-class, waterfront golf courses. From smallish bungalows and two bedroom condos to palatial residences fit for a king, Longboat Key has something for everyone. Due to the narrowness of the key, it seems that almost every residence has water views, regardless of size. If you’re looking for a seasonal residence, you may wish to invest in a condo that you can use at your leisure and rent out when you’re not using it. 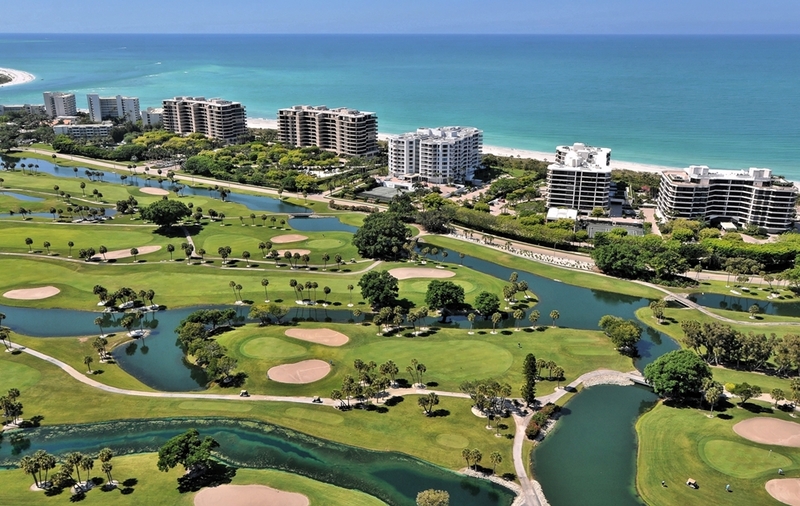 Condos and apartments account for more than 60 percent of Longboat Key’s housing units. These communities often have pools, clubhouses, and boat slips available to residents. As you might imagine, true luxury is available at the top of the market in Longboat Key. Tennis courts, swimming pools, private beaches, and total seclusion can all be yours. Purchasing one of these residents will truly make your Longboat Key dreams come true.